Q&A - HIND SIGHT INC.
How can Hind Sight be more accurate than my peep sight? 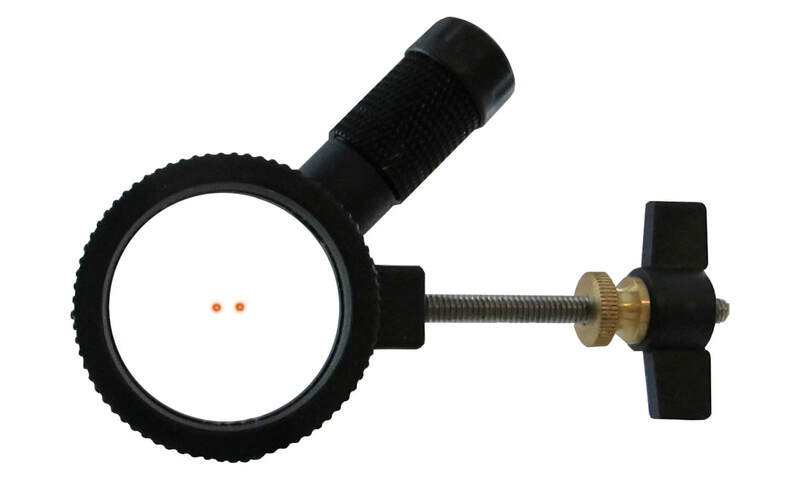 Hind Sight added a secondary point of alignment that is not too close to your eye, attached it to the riser so it remains in a fixed position, glows in the dark for low light visibility, has a very tiny (.060") aperture for pin point accuracy, and detects bow torque instantly. How exactly does Hind Sight prevent bow torque? When you hold your bow correctly free of torque, your sights will be in perfect alignment with your target. Because our sights are attached to opposite sides of the riser, if you torque your bow, you will also torque your sights. This simple feature provides instant feedback detected by your eye allowing you to make the correction before you release your arrow. A string peep will not detect bow torque because the string is independent of the riser. At full draw you can torque the riser but not the string, so looking through a peep you are unaware of it. How Rugged are your sights? Our sights are pretty tough actually. The mounting brackets are aluminum and the all important rear aperture is molded on a stainless steel screw with a nylon sight ring and polycarb pointers. The pointers are rigid but also flexible so they can bend without breaking. They also have a built in memory to hold their shape. The rear sight is protected inside the riser and the aperture is protected inside the sight ring. How does Hind Sight work in low light compared to my string peep? I shoot right handed but I am left eye dominant. Will Hind Sight work for me? Hind Sight will work very well for you. Our sighting systems allow you to take aim with your dominant eye and shoot with both eyes open if you choose too. This feature will give you a larger sight window allowing you to see more of the action unfolding before you. If you think of a straight line from eye to impact (either eye) you are simply placing your sights on that line. The closer your dominant eye is to the string, the less parallax view of your target you will have. Basically you have two lines (sight line and path of the arrow) that meet and cross at a certain point. Let's say that at full draw your dominant eye is 3" from the string. The path of the arrow, your sight line, and the distance that your eye is from the string form a triangle. Let's also say that you have three sight pins that are set at 20, 30, and 40 yards. When fine tuned out to 40 yards, the path of the arrow and your sight line will meet and cross at that point. When you cut that distance in half, at 20 yards you will be off center by one and half inches, half the distance your eye is from the string. Years ago when sight pins were first introduced, you could adjust each pin individually to account for parallax view. Today we only have a gang adjustment of the front sights for a windage adjustment (left to right). It is important that you try to shoot with your dominant eye as close to the string as possible to narrow the parallax view of your target.